Dr. Connelly is a clinician scientist and staff physician at St Michael’s Hospital where his clinical responsibilities involve echocardiography and cardiac MRI. His basic science laboratory is involved in exploring mechanisms of diabetic complications, principally diastolic heart failure and developing novel therapeutic strategies to treat this. 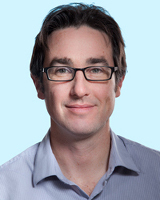 Dr. Connelly also collaborates closely with the Sunnybrook Health Sciences Centre in elucidating the role of real time cardiac metabolism in the pathogenesis of post MI remodeling, and developing novel MR techniques to enable non-invasive tissue characterization. He is also the Director of the Krembil Stem Cell Facility at St. Michael’s Hospital and recently started a world’s first – using eNOS transfected endothelial progenitor cells in patients post myocardial infarction to enhance myocardial regeneration.